Share this blogger’s excitement and his discoveries as he delves ever deeper into the world of prints and printmakers. Antique maps from the 15th to the 18th century. Antique atlases and rare illustrated books. Decorative prints and medieval manuscripts. Antique Prints and Rare Maps from the 15th to the19th century. Philographikon Gallery, Munich, Germany. Maps from around the world, botanical prints, animal prints, architectural prints, sports prints. Cambridge Book and Print Gallery is a leading UK specialist in fine art prints by modern British and international artists. Christopher Mendez, London, was established in 1965 and is a specialist dealer in Old Master Prints. The Old Print Shop, Inc, founded in 1898, is an art gallery specializing in American graphic arts, antiquarian maps, atlases, and artist books. Postaprint Antique Maps and Historical Old Prints, U.K.
Printmakers, a list of contemporary printmakers from The-Artists.org. Artists, printmakers, an index of print master artists. Artists’ Books, a guide to websites. Supporting the Prints and Drawings Department of the Fine Arts Museums of San Francisco. Prints and printmaking Australia Asia Pacific provides a gateway for information on printed images from Australia and the Asia Pacific region. The focus of the site is prints and printmaking by artists from Australia, Aboriginal Australia, the Torres Strait Islands, Papua New Guinea, Maori and Pakeha Aotearoa New Zealand and the Pacific region. By art historian Josephine Severn. The collection of the National Gallery of Australia. Includes New Zealand, Australasia and the Pacific region. The leading publisher and printer of the Venetian High Renaissance, Aldus set up a definite scheme of book design, produced the first italic type, introduced pocket of the classics and applied several innovations in binding technique and design for use on a broad scheme. Wenceslaus Hollar. Art museums displaying works by Hollar. The Aldine Press (1495-1588) was one of the most significant presses in European history. 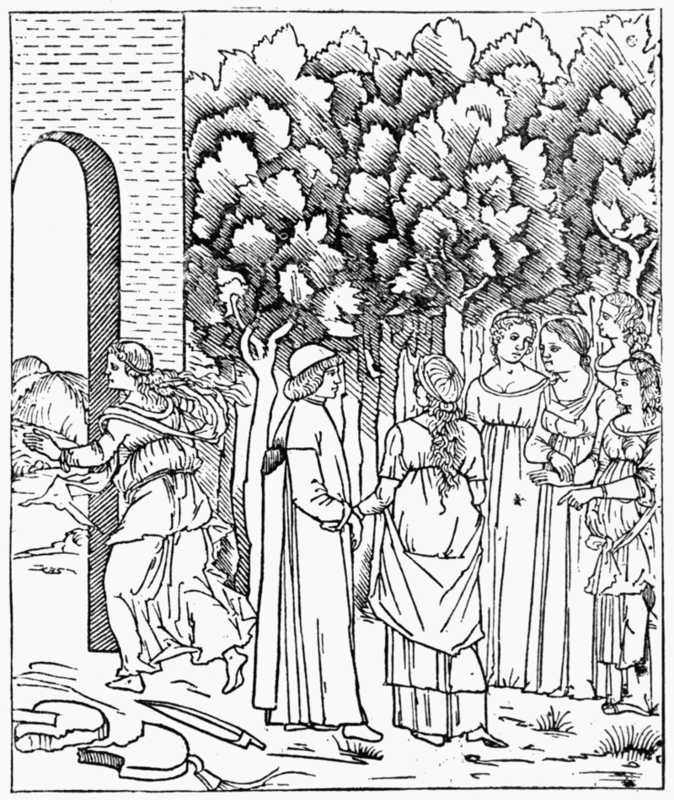 Poliphilo in the Garden, from ‘Hypnerotomachia Poliphili,’ printed at Venice. This is one of the largest and most important collections of Aldine Press books in the world. This catalog accompanied an exhibition in the Harold B. Lee Library from March to August, 1995, of a selection of the library’s Aldine holdings, celebrating the quincentenary of the founding of the Aldine Press. Information about the font designer Aldus Manutius and his typefaces. Dante in print, an edition from Aldus Manutius. History of printing, history of the printing press. British Museum prints and drawings collection. The famous 17th century French engraver who founded modern print. Corporation of London Library and Art Gallery Electronic COLLAGE website. This image database of over 20,000 prints, drawings, maps, paintings and photographs specializes in London material and offers online purchase of prints and digital files, as well as providing more detailed information about the holdings at Guildhall Art Gallery and Guildhall Library Prints & Maps section. Consilio. Il Laboratorio d’Arte di Giuliana Consilvio, Milan. Crown Point Press, California, US. A gallery and studio that invites artists from all parts of the world to make etchings and woodcuts. International Fine Print Dealers Association (IFPDA). is in charge of the Frits Lugt Collection in Paris, a remarkable ensemble of drawings, prints, paintings, artists’ letters. It also works in partnership with the Institut Néerlandais in Paris, which was founded in 1956 as the result of a joint initiative by Frits Lugt and the Dutch government. Géricault, Théodore. Lithographs by Theodore Géricault. Definitions, terms related to giclee printing. Salt of the Earth, one of the UK’s best-loved giclée services. Respected specialists offer archival prints, cards, expert advice and “freebies” to artists and photographers throughout Europe – and beyond. A free access webzine on printmaking, connecting the Italian printmaking scene with the practice of contemporary art. A large illustrated selection of historical prints of Italy. Ukiyo-e Japanese woodblock prints. Wikipedia entry. 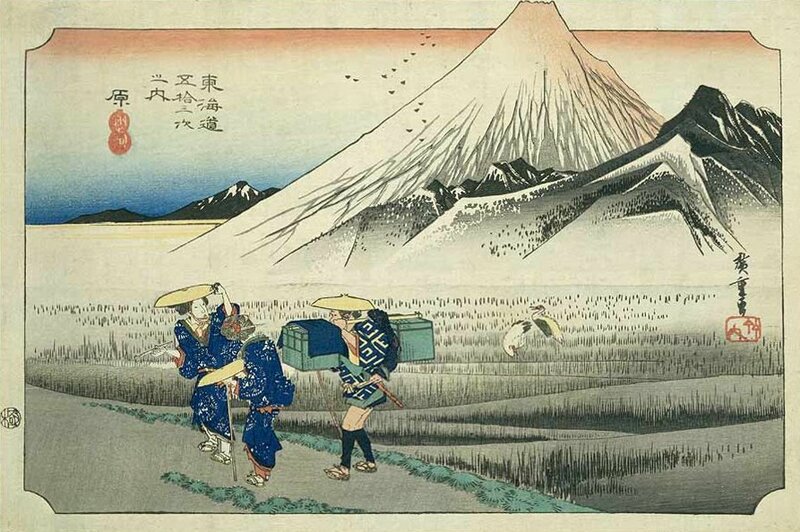 London’s most extensive collection of Japanese prints. Illustrated essays on Japanese prints. How to carve a linoleum block for printing. This studio is dedicated to reproducing art at the highest possible standard using the very latest technology. Their clients include: Tate, MoMA, SFMoMA, The Smithsonian Institute, The Metropolitan Museum of Art, alongside a list of highly respected private clients. The longest-running specialist print fair in the world. London prints. Corporation of London Library and Art Gallery Electronic COLLAGE website. This image database of over 20,000 prints, drawings, maps, paintings and photographs specialises in London material and offers online purchase of prints and digital files, as well as providing more detailed information about the holdings at Guildhall Art Gallery and Guildhall Library Prints & Maps section.